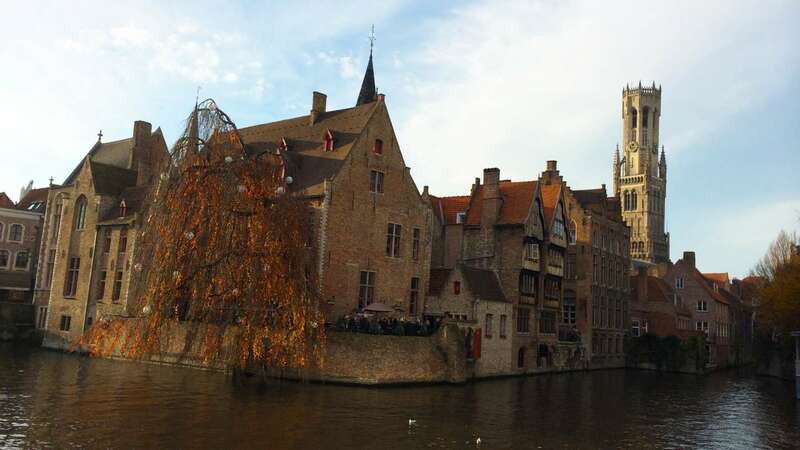 Bruges – The Chocolate Capital of the World and the ‘Venice of the North’! Have you watched the film ‘In Bruges’ which starred Colin Farrell and Brendan Gleeson? 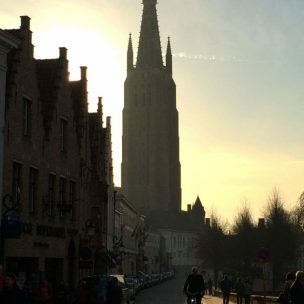 One cold evening many years ago, Ian and I were watching the film at home and I remember him saying ‘Oh Bruges looks really pretty, we should go there one day.’ So what did I do three years ago? I booked a surprise trip to Bruges for Ian’s birthday. 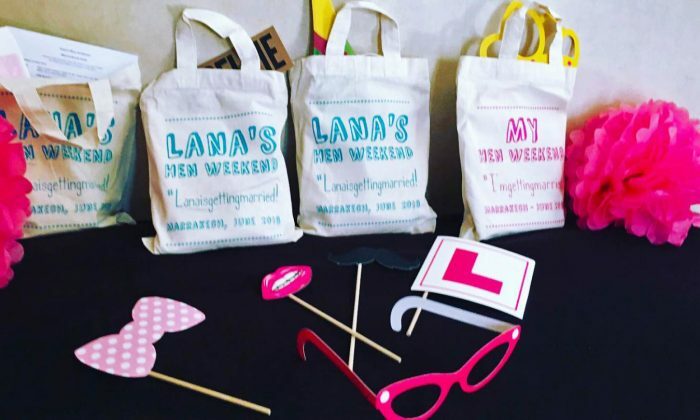 Who doesn’t like a surprise?! Bruges is a beautiful, medieval city in Flanders, located northwest of Belgium. 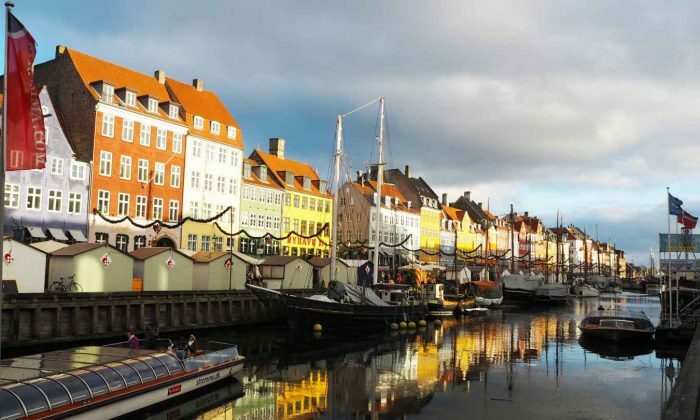 What immediately strikes me are the cobbled streets, network of canals, towers with the fairy tale turrets and the charming houses. As we were here at the end of November, the atmosphere was magical and you could feel the romance in the air. 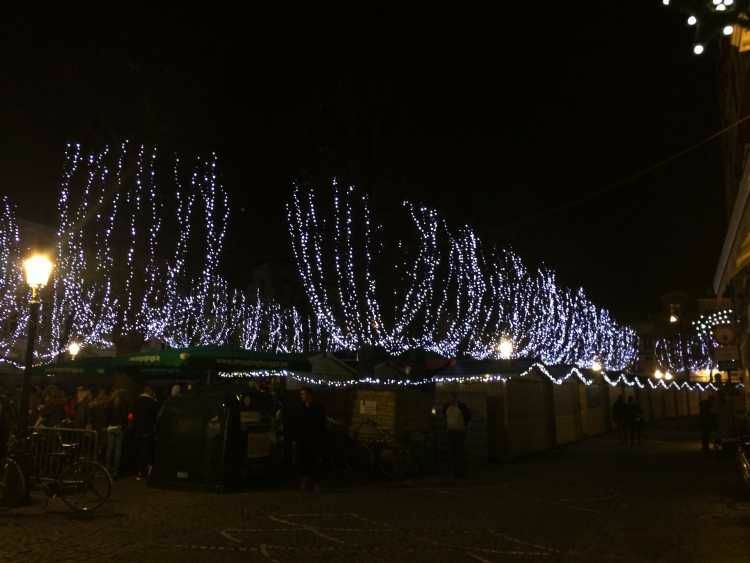 There were blue twinkly lights adorning the huge Christmas Fir Tree in the Burg, the brightly lit decorations hanging high amongst the buildings, the quaint shops decorated with Christmas ornaments and the Christmas markets lining the Markt square all added to the festive spirit. 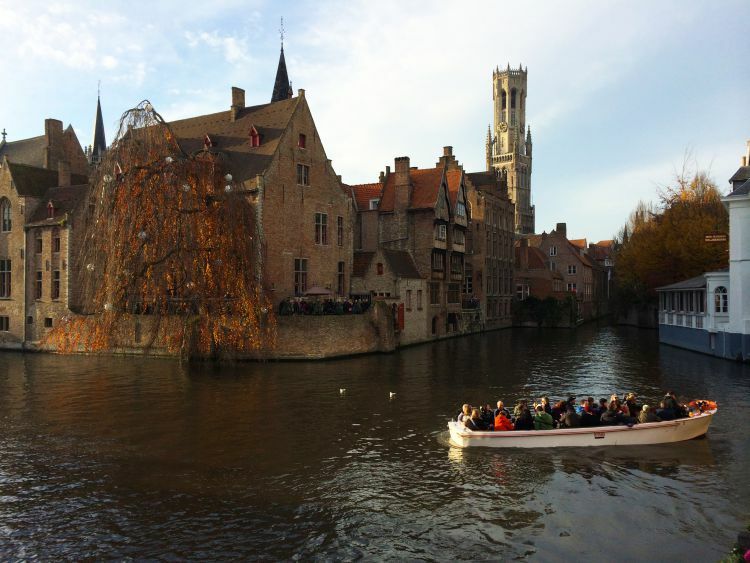 Bruges is also very accessible by foot as everything is very close to the city centre. We didn’t even have to grab a taxi (except to the train station) or catch a bus anywhere – Bonus! It was perfect for romantic strolls in the evening and also to walk off the delicious food served just about everywhere. Scouring through the internet for days, I finally booked Hotel Prinsenhof due the fantastic reviews on TripAdvisor and the excellent location. 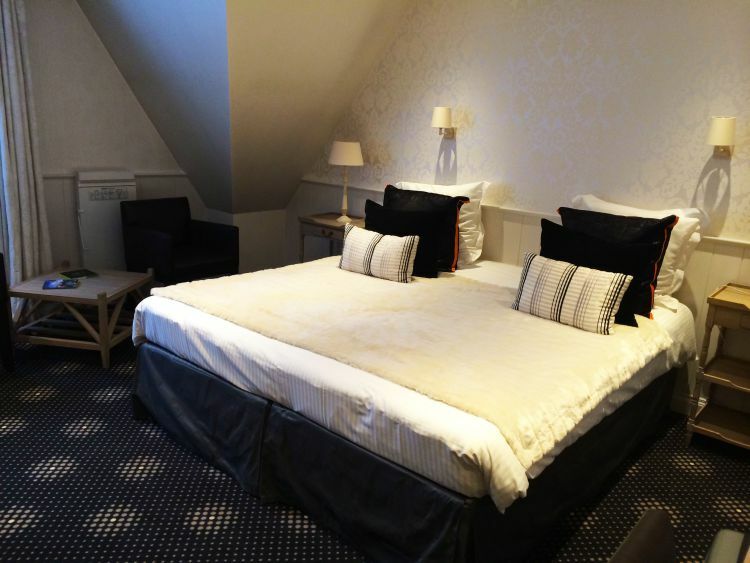 Hotel Prinsenhof is a 4 star luxury boutique hotel located down a quiet street and only a 5 minute walk from the Markt. The shopping area was just steps away from the hotel and filled with so many eateries, cafés and shops selling items to please just about anyone – oh, how convenient (Lana chuckling to herself). Upon arrival, the receptionist was very friendly and helpful and allocated us a quiet room with a view of the courtyard. The family run hotel is set in a renovated 1930’s mansion, and has a total of 24 rooms offering a choice of classic, superior or deluxe room. Our spacious room was elegantly decorated with white walls and a dark blue patterned carpet, matched with simple furnishings but the bed was so comfortable we slept like a baby every night. 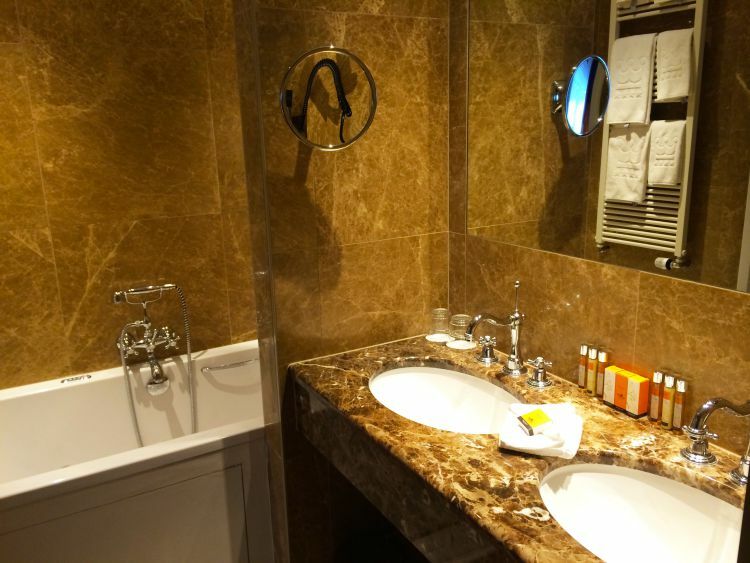 The bathroom had a rainfall shower and Fragonard toiletries were provided and replenished daily. The room was also equipped with all the ‘mod cons’ such as flat screen TV and there was complimentary Wifi. Our room rate didn’t include breakfast and we didn’t get the chance to sample the buffet breakfast as we were out enjoying the recommended eateries and cafés for breakfast. 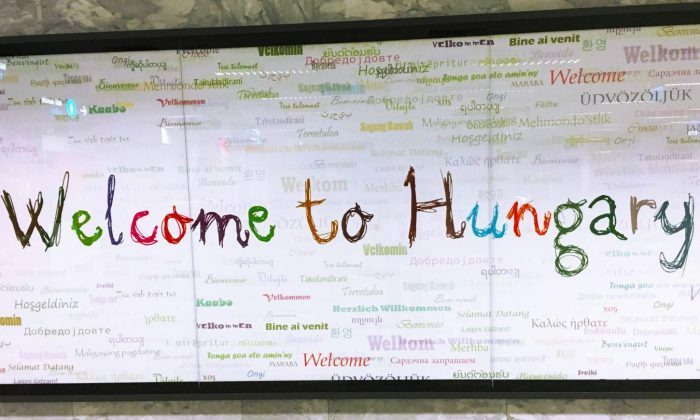 However, this was at an additional cost of €22 per person and included fruit, hot and cold buffet selection, pastries, eggs cooked anyway, teas, coffees and juices. For cheaper options, there are local cafés nearby which serve delicious food. The room was very comfortable and relaxing. 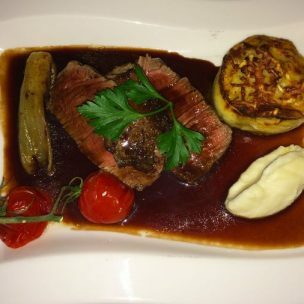 Service here was excellent and the staff were wonderful, which made our stay very memorable. 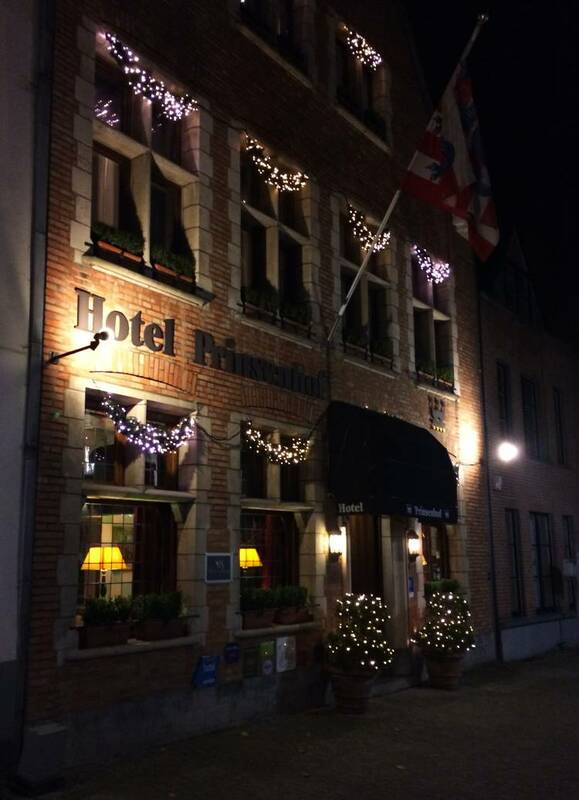 We would highly recommend Hotel Prinsenhof and would definitely book again. For great deals on Hotel Prinsenhof, check out Booking.com. The tea room is great for a spot of lunch, brunch or even just tea and cake. We just so happened to stop by to grab brunch and it was very busy – we were lucky enough to grab the only table left. The tea room was fairly small inside, very cute and had a cosy atmosphere. Never had I tasted such an indulgent hot chocolate before. 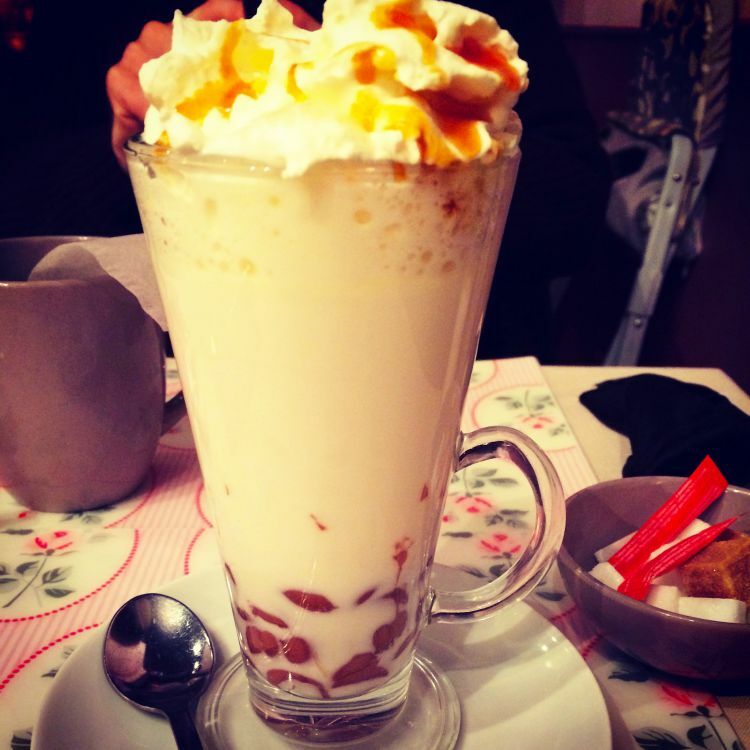 The hazelnut chocolate was rich and topped with a generous amount of whipped cream. 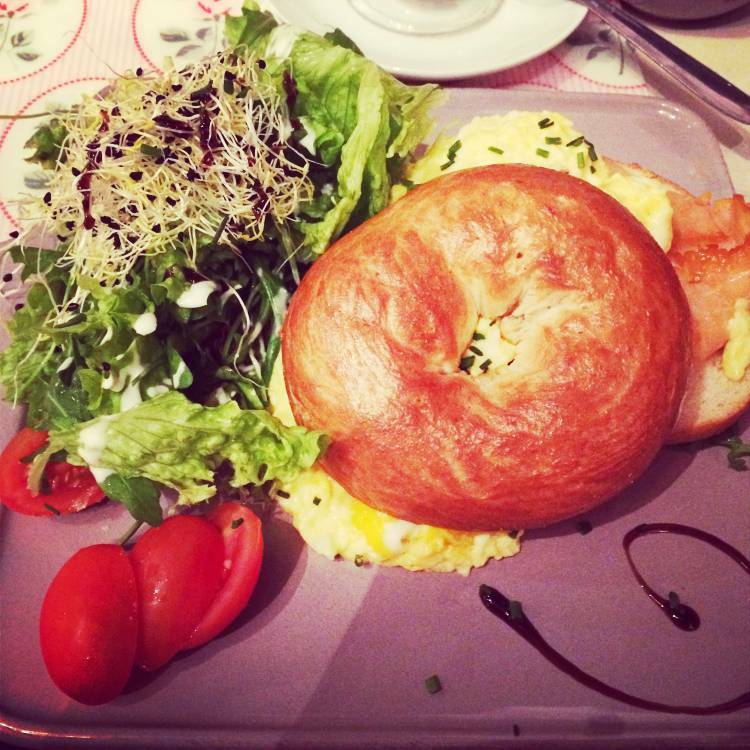 I chose the bagel with smoked salmon and scrambled egg, which was delicious may I say. 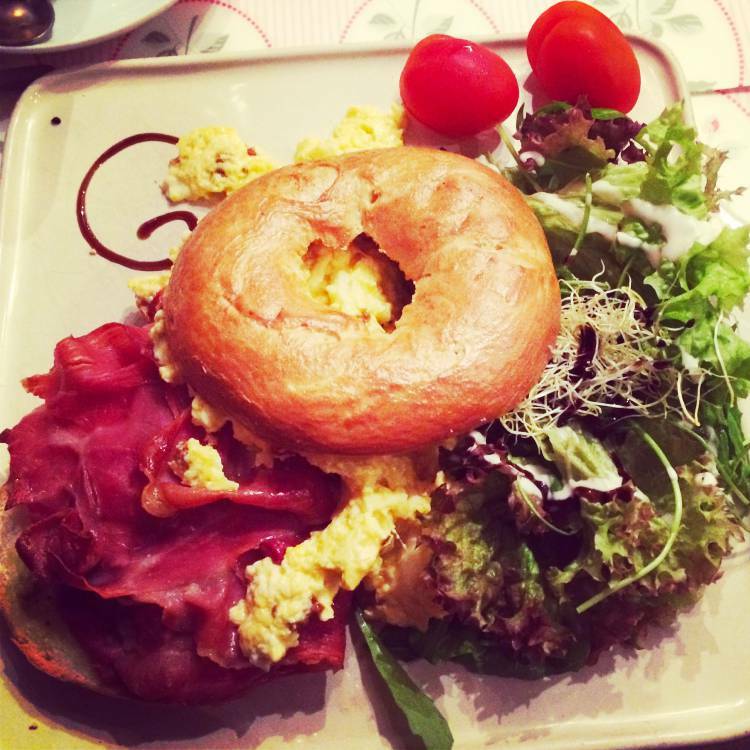 And Ian was drawn to the bagel with scrambled egg, serrano ham and sun dried tomatoes which was equally scrumptious. Both bagels were served with a side salad. 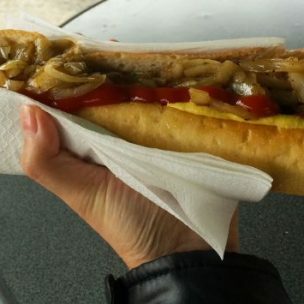 The portions were of a generous size and filling too, that carried us through to dinner. The staff were friendly and the service was excellent too. Even though it was busy, we were not rushed and there wasn’t a wait for the food or drinks. 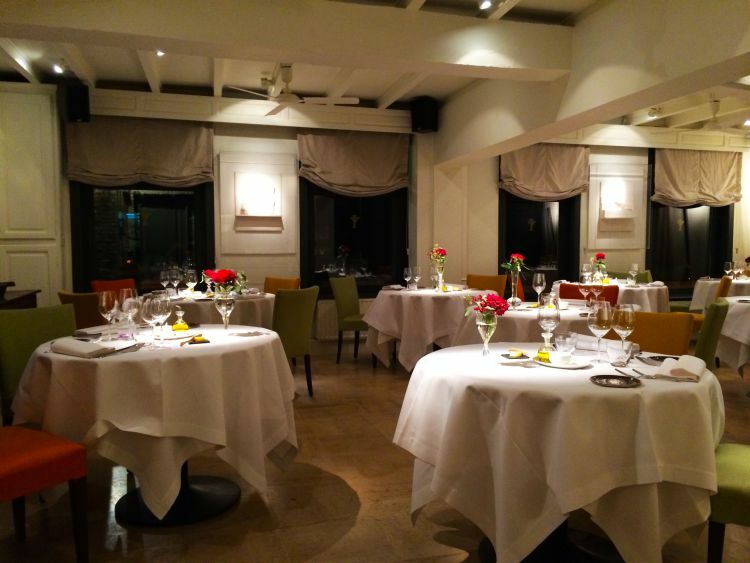 The restaurant was formal with a romantic setting – perfect to celebrate a special birthday. We were the first ones to arrive and led to a table on one side of the restaurant. 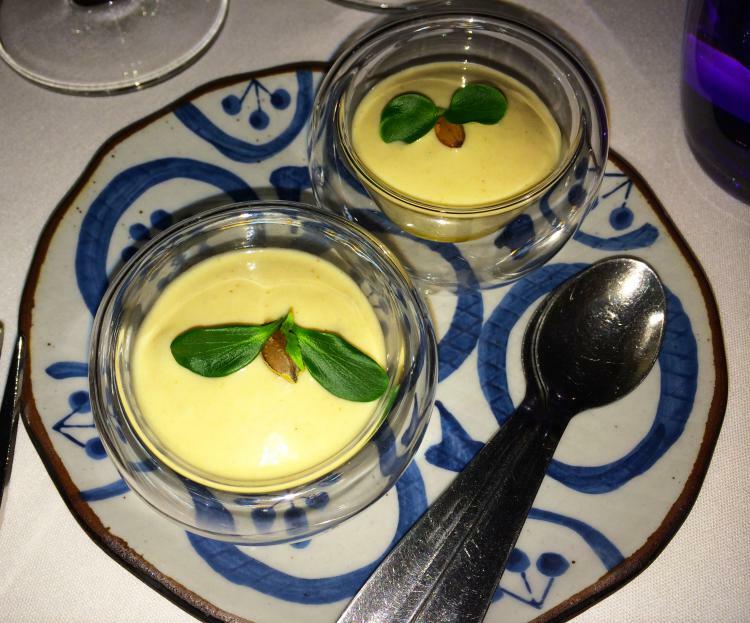 A couple of amuse bouches were given to get our appetites going. The sardine on sushi rice and the pumpkin seeds were delish! 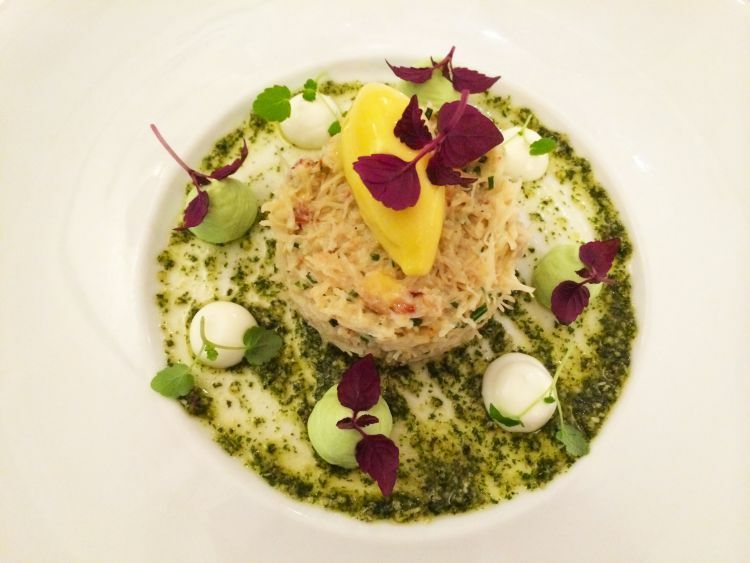 For starters, I had the crab avocado mousse with sorbet and pesto which was lovely and flavoursome. 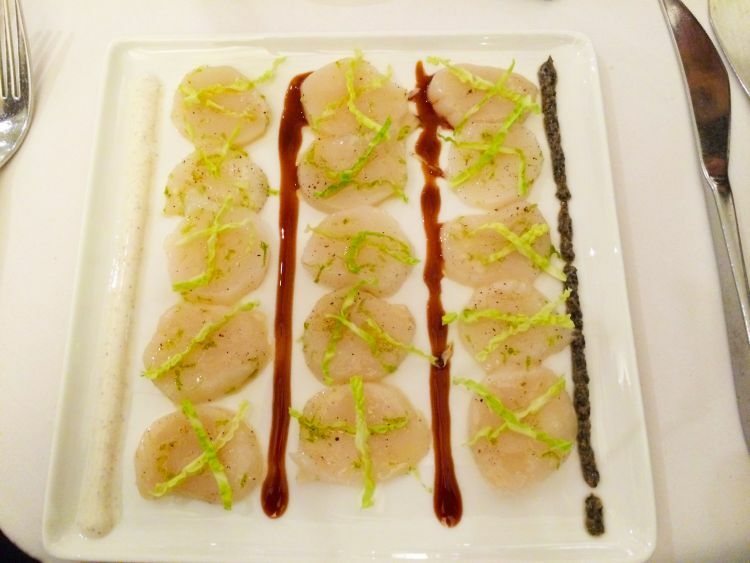 Ian had the carpaccio of scallops which was light and fresh. Next up were the mains! 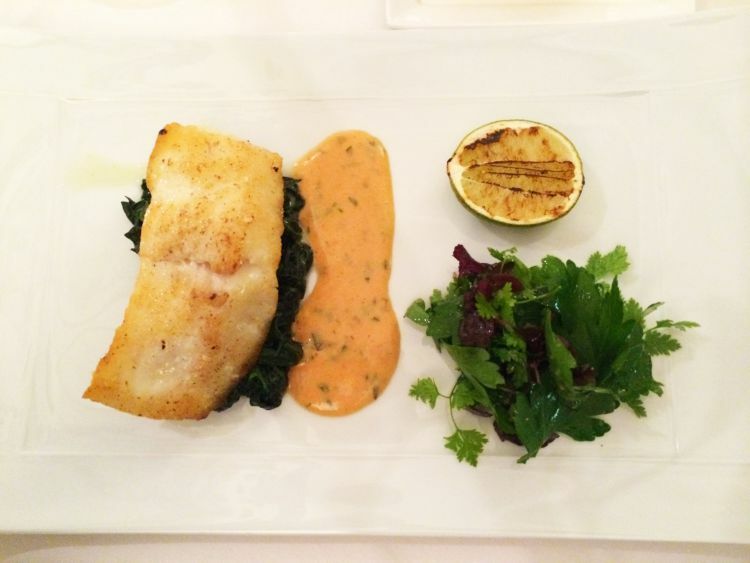 The perfectly cooked fillet of turbot with seaweed, served with bearnaise sauce and spinach was excellent. 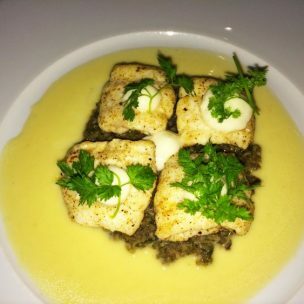 The beautifully flaked lemon sole with mushroom in a cardamom sauce and parsnip puree was divine and packed full of flavour. 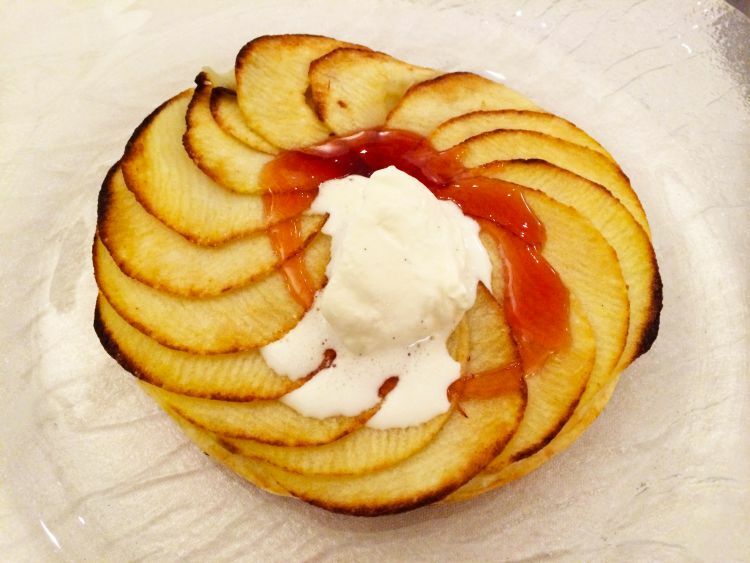 The dessert of apple tart with quince jelly and cream was heavenly. 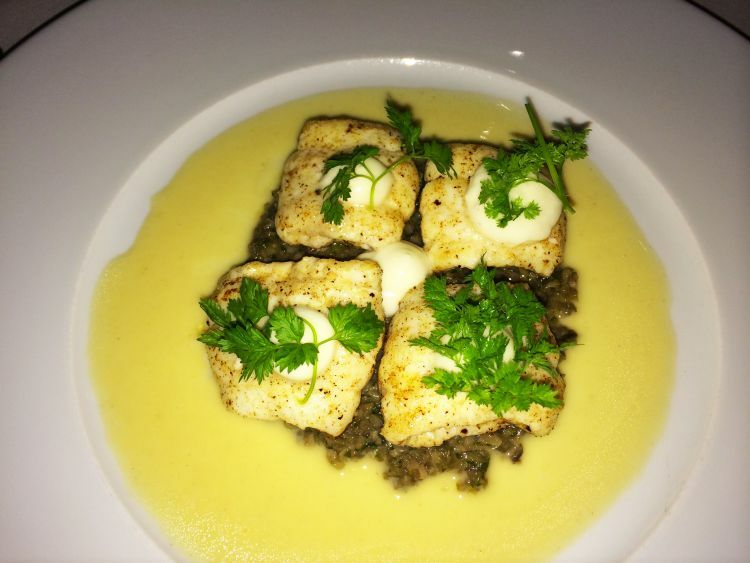 The food was excellent and worthy of Michelin star, however the service was sketchy. 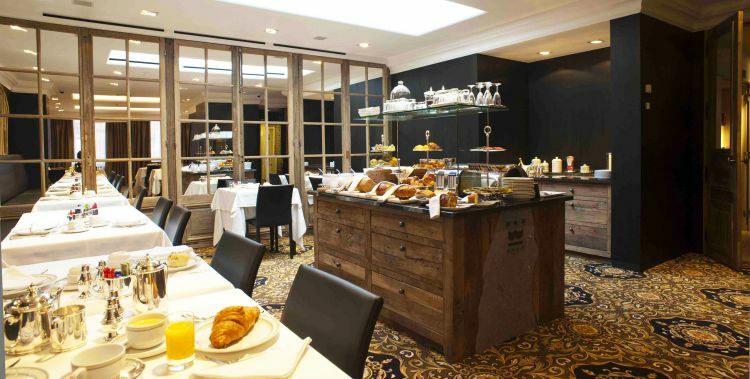 Even though we were the first to arrive, it seemed as if we were forgotten at times and the server paid more attention to a French couple on the other side of the room. This restaurant was by far our favourite in Bruges! 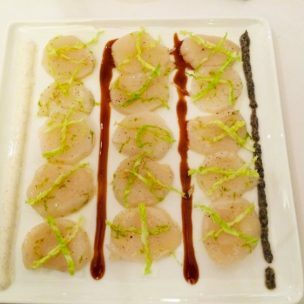 If there’s one restaurant you have to pick, then choose Park Restaurant. 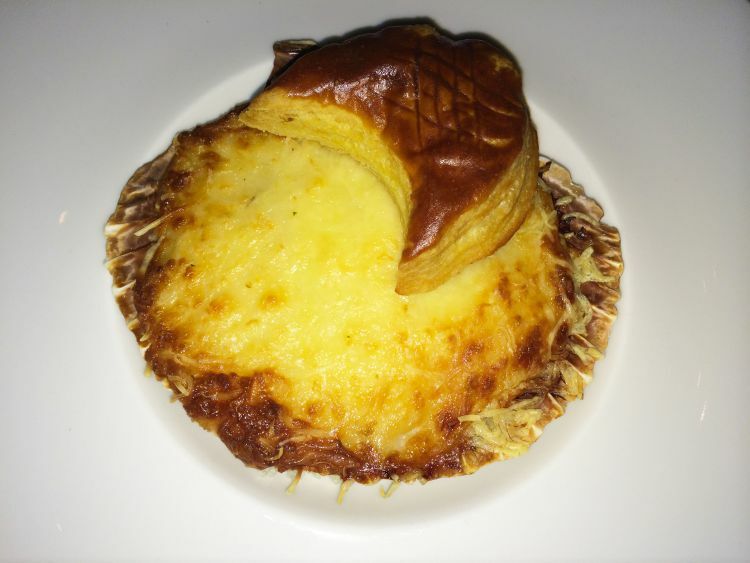 Park restaurant is run by two brothers since 1989. It’s a very formal restaurant, quite old fashioned decor with tall ceilings and delicate hanging chandeliers from the ceiling. 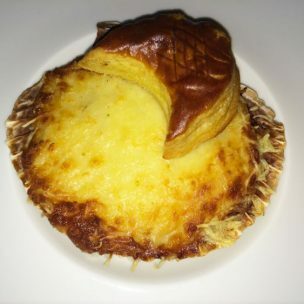 The food served here is classic French cuisine using traditional techniques. We had a 4 course set menu with paired wines. The starters of the spinach and mushroom pie and the gratin with scallops were out of this world. 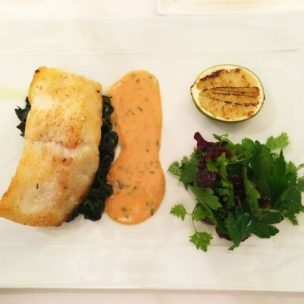 My main of dover sole with butter sauce was perfect and Ian’s main of beef fillet was juicy and tender. 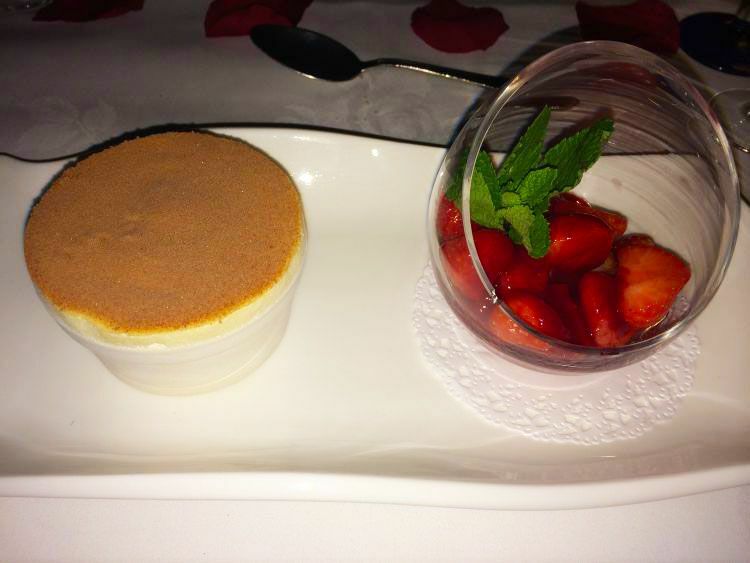 The iced souffle with fresh strawberries was amazing! The staff were very professional, friendly, very amusing and attentive. 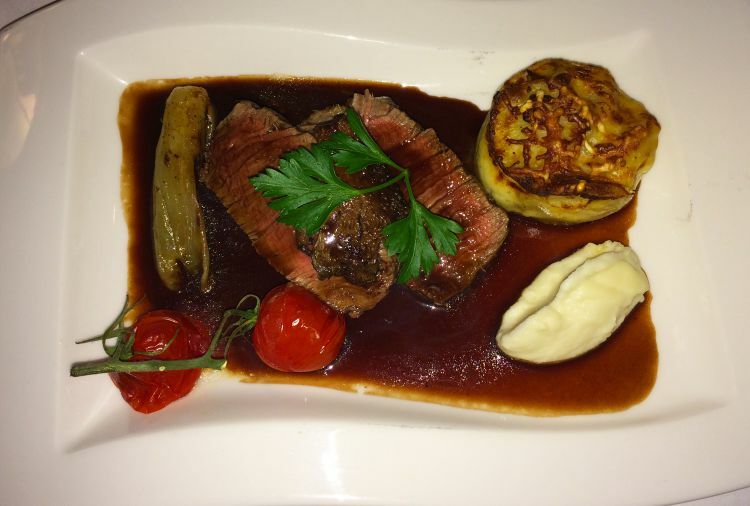 The service was outstanding throughout and we highly recommend Park Restaurant. 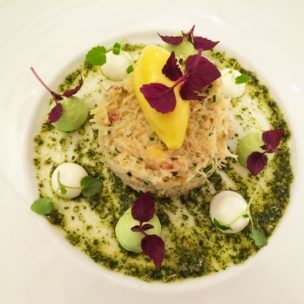 Price: 4 courses with paired wines €74.90 (correct as of October 2017). The iconic Belfry stands at 83 m high and can be seen almost everywhere from the city. 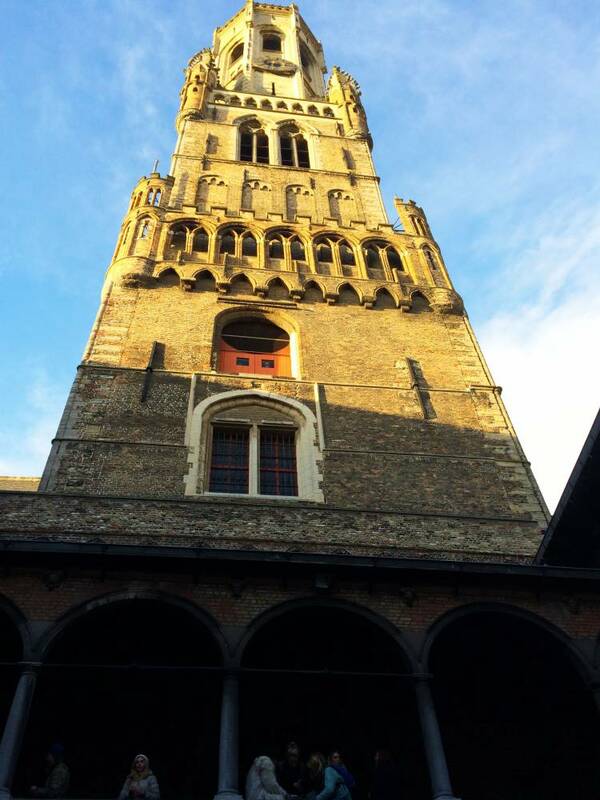 It’s worth climbing the 366 steps for the superb panoramic views of the city and the canals. Don’t worry, you can pause by The Old Treasury on the way up. The famous tower houses the 47 bell Dumery Carillon and the six tonne Triumphal Bell, which still rings but only on special occasions. 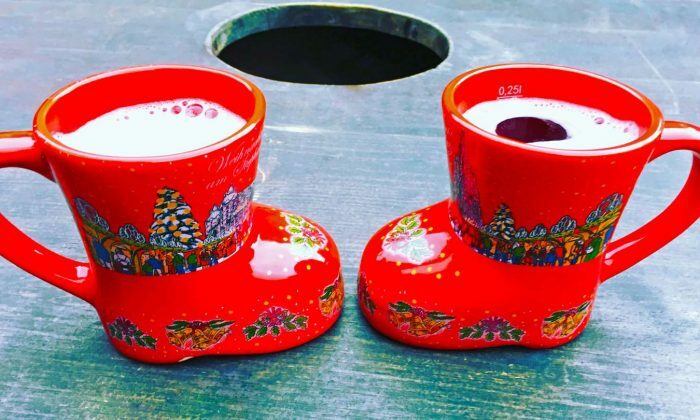 Tip: To avoid the crowds, try the rooftop at De Haalve Man Brewery or the Forum+ art gallery for city views. If you fancy splurging, how about a balloon ride for a bird’s eye view of the city. De Halve Maan Brwery is the only traditional brewery still working in the centre of Bruges. 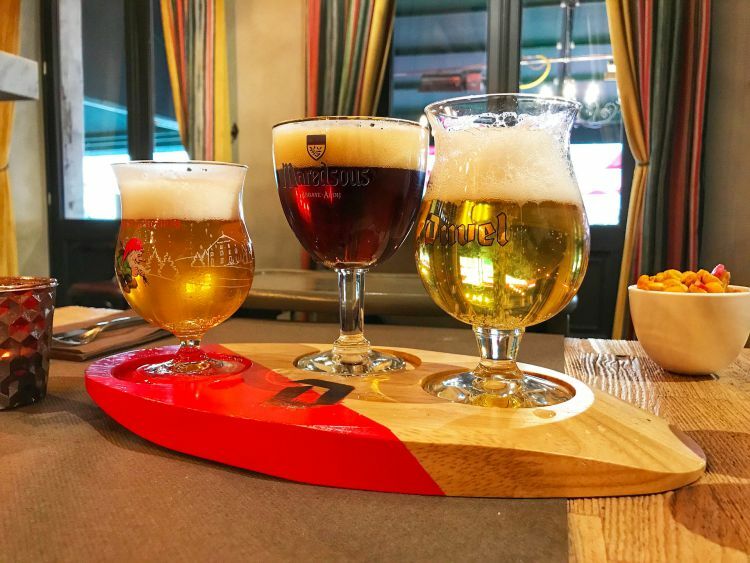 You must sample the famous Brugse Zot, also knows as Bruges Fool. Take a guided tour of the brewery and also take in the view of the city from the rooftop. Price: €9 for 45 minute tour and tasting of the house beer or €19 per person for the XL 90 minute tour and tasting of three beers. 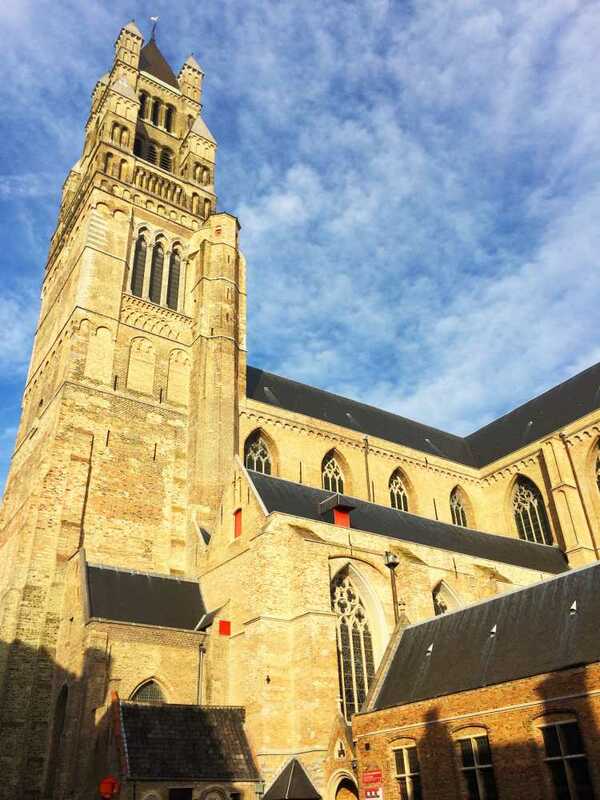 One of the tallest buildings in Belgium, the golden church stands at 115.5m tall. The collection includes Michelangelo’s sculpture of Madonna and Child from 1505, many various art treasures and paintings. 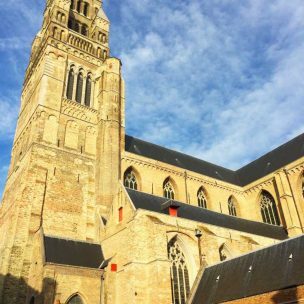 It is impossible to miss this church in Bruges. 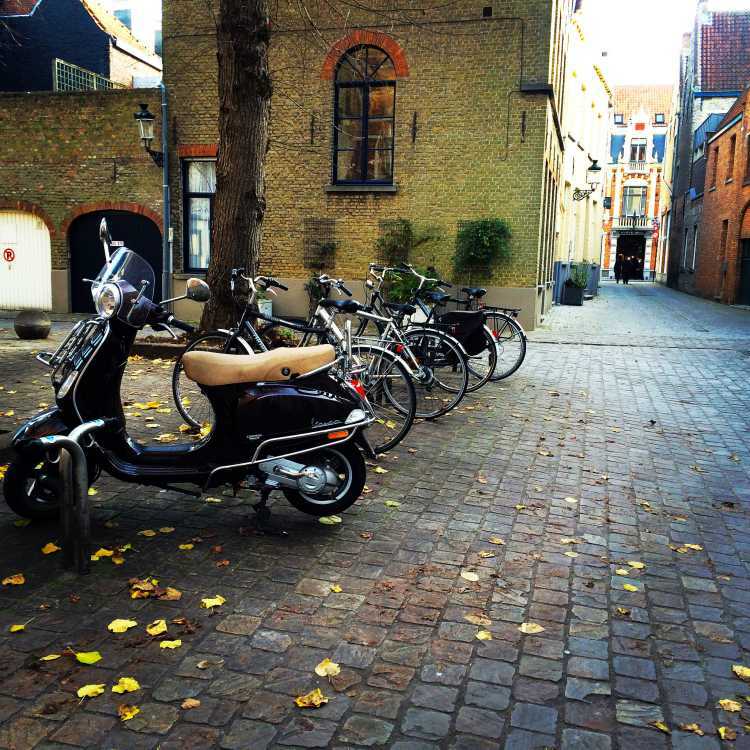 The cobbled square is full of history and is the heart of Bruges. Surrounded by restaurants and cafés and filled with people, the Markt is ideal for people watching. Here stands the famous Belfry tower. Wednesday is market day, where you’re able to purchase fresh local produce with many stalls selling fruits and vegetables etc. The Belgium chips are delicious … crunchy and golden on the outside but super fluffy inside. Try chips with mussels or why not try chips with a generous dollop of mayo! 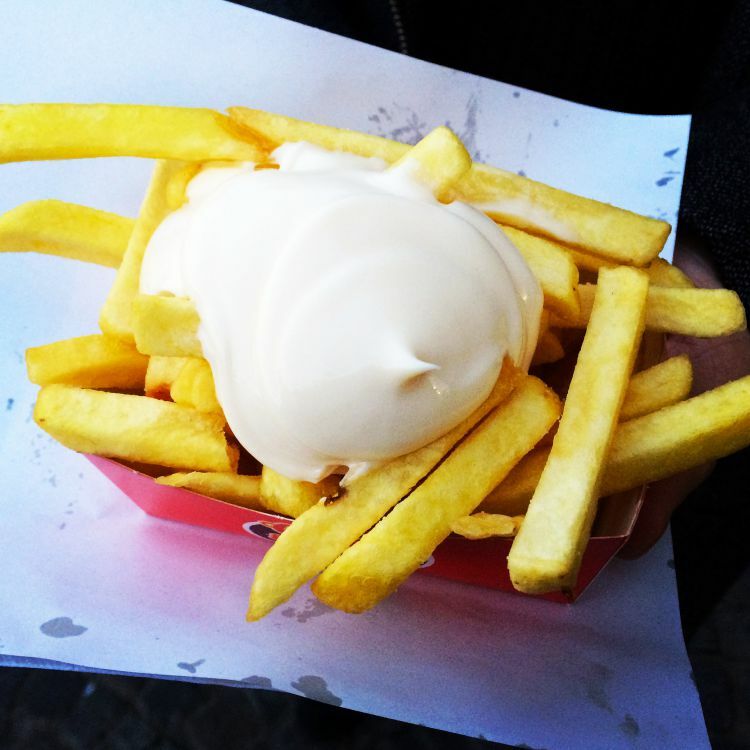 You’ll find the best chips with mayo in the Markt Square by The Belfy. Mmmm! You’ll spot it by the long queues. 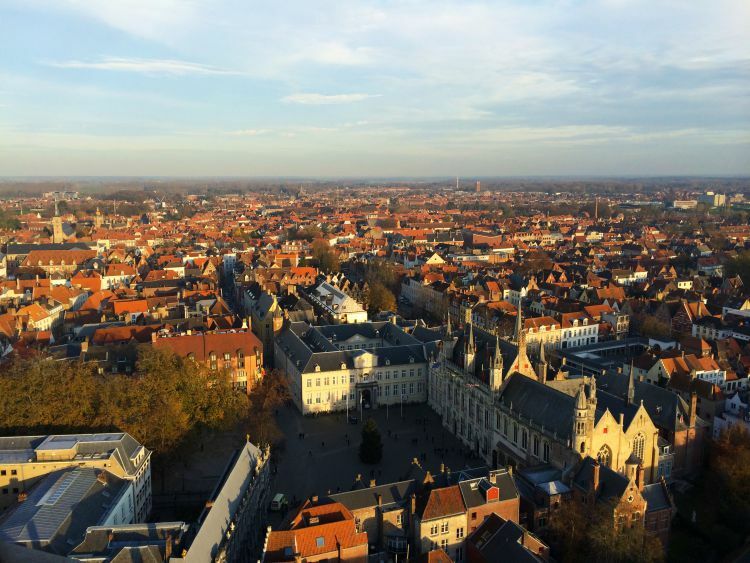 The Burg is Bruges second main square and was named after a fortress built by Baldwin Iron Arm. Although the castle is no longer here today many beautiful historical buildings are located here such as the Town Hall. 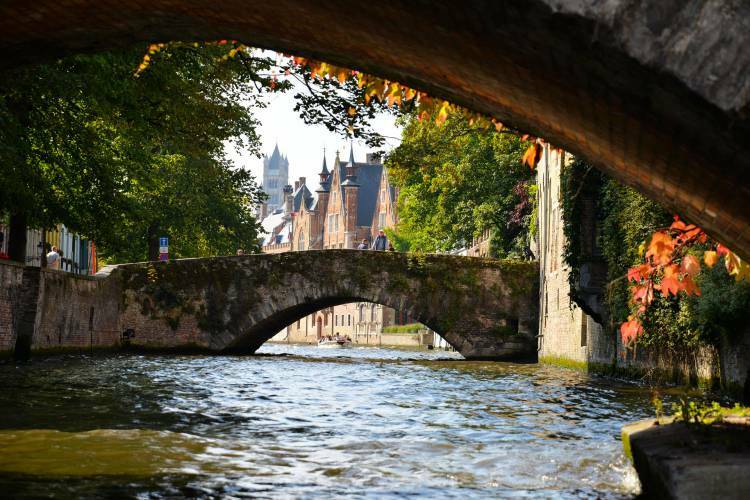 No trip is complete without cruising the famous canals of Bruges. The 30 minute boat trip will show you the city from a different perspective with the guide providing lots of interesting information on the city. Tip: Take the first boat tour to avoid the queues. Clippety clop! Clippety clop! The sound of the horses on the cobbled streets. Why not take a horse drawn carriage tour starting at the Markt, through the streets of Bruges whilst the driver gives a commentary. This also adds to the romance! The tour stops half way to feed and give water to the horses. 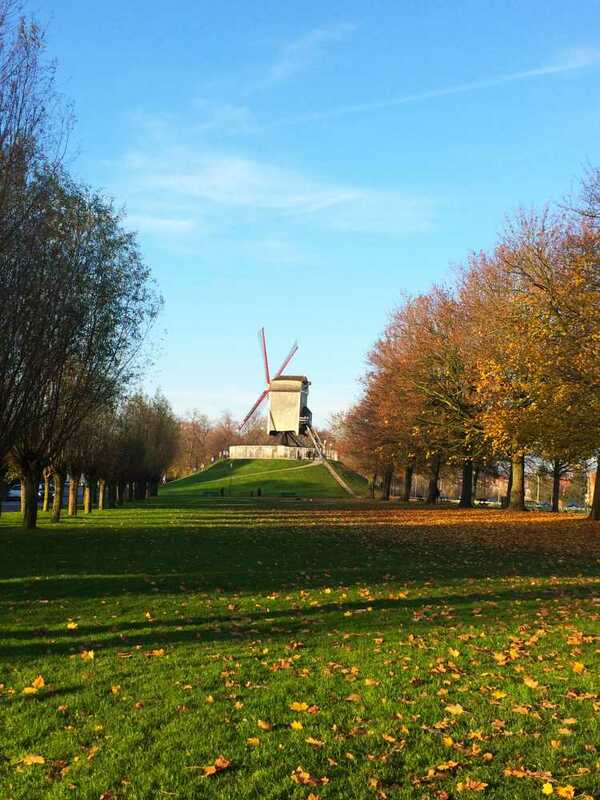 The windmills lie on the edge of the city near the canal Kruisvest. It’s a bit of a walk but once you reach there, it’s definitely worth it. There were 25 windmills originally but nowadays only some of the windmills are open to the public. 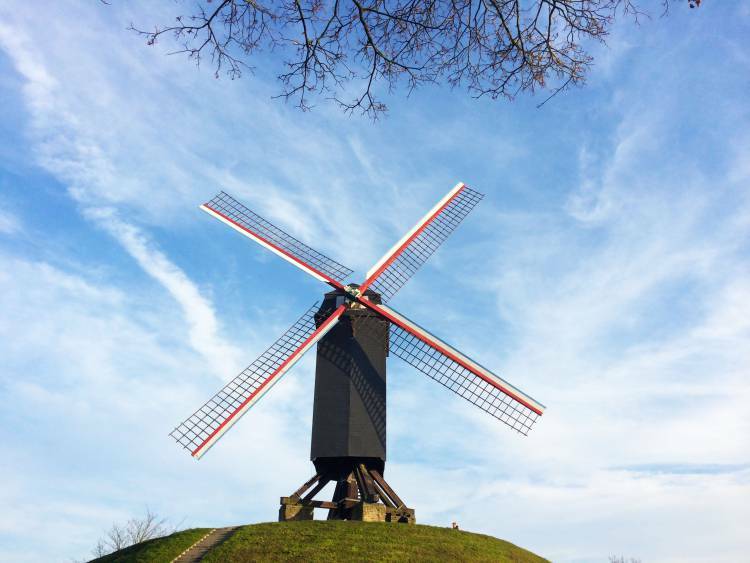 Sint-Janshuismolen (Sint-Janshuis Mill) is the only mill still grinding flour and is open to visitors. I love chocolate and couldn’t resist to visit the chocolate shops and sample the handmade chocolates. 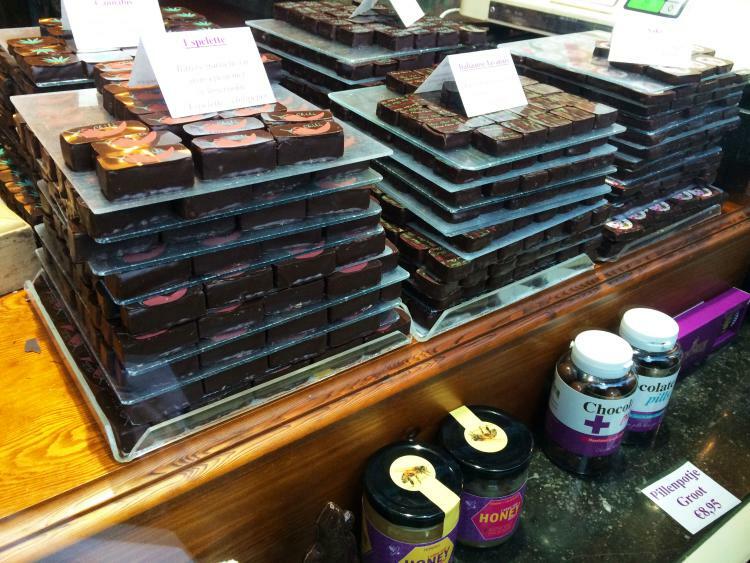 Bruges is seriously chocolate heaven! The two shops we visited were Neuhaus and The Chocolate Line. 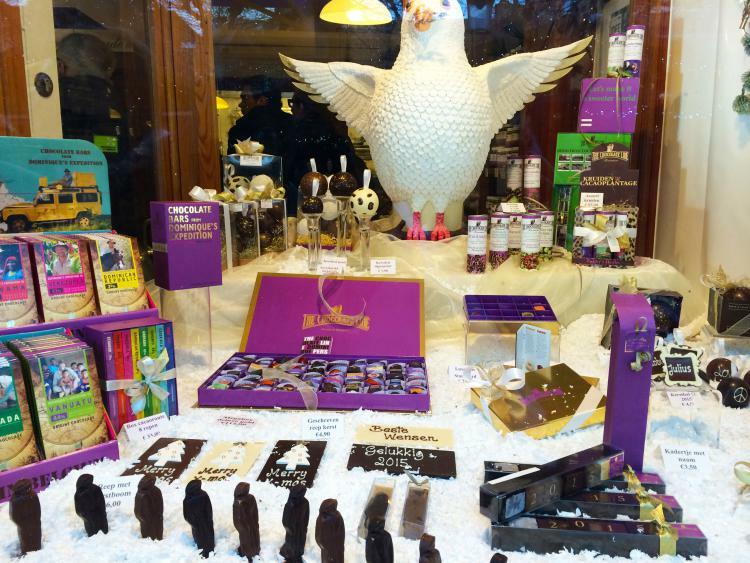 Neuhaus have been making chocolates since 1857 and created the first praline in 1912. Neuhaus use the finest ingredients to create their luxury gourmet chocolates employing artisan techniques. The handmade chocolates were exquisite! We couldn’t leave Neuhaus without a box full of chocolates. The Chocolate Line was packed as everyone wanted to try the unique flavours developed by Dominique Persoone. The chocolates melt in your mouth to create a ‘unique and sensual experience’. Of course, we had to buy a box to try the different flavours! If you have a sweet tooth, then you must try the fresh waffles. You can buy the waffles from any stand. 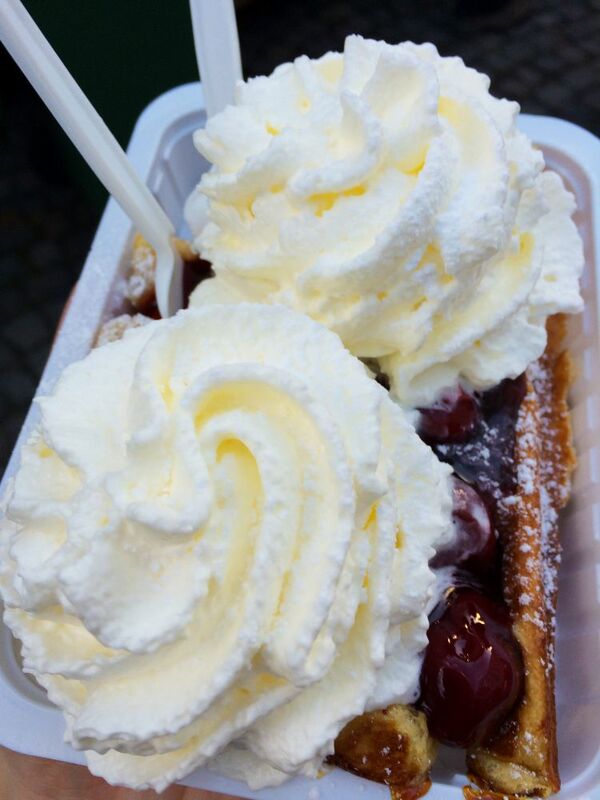 We HAD to try the warm waffles topped with cherries and lashings of cream. Oh my, the waffle was incredible. 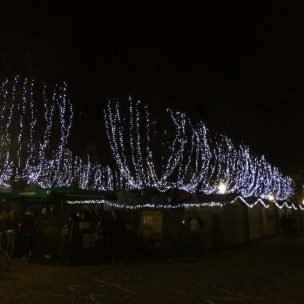 If you happen to be visiting Bruges at the end of November to December for the festive season, then browse the beautiful Christmas markets set on the cobbled streets in Markt Square. It’s a great atmosphere and you never know what gifts you might find there. Why not sample the food and grab a hot chocolate whilst browsing! We took the Eurostar from London St. Pancras to Bruges via Brussels; journey time 3h 25. Many airlines fly into Brussels (eg, Ryanair, Wizzair, Easyjet, Brussels Airlines, Lufthansa) which take just over an hour from the UK. 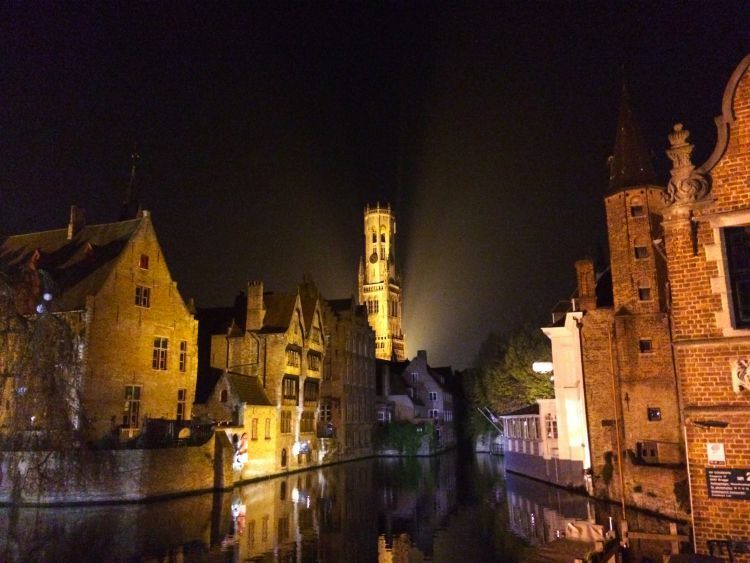 Have you visited Bruges? 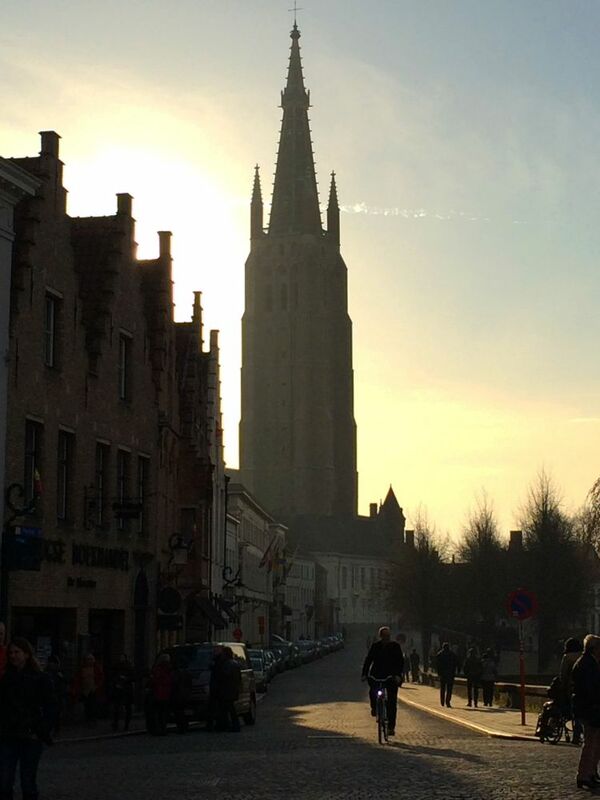 What did you like about Bruges? 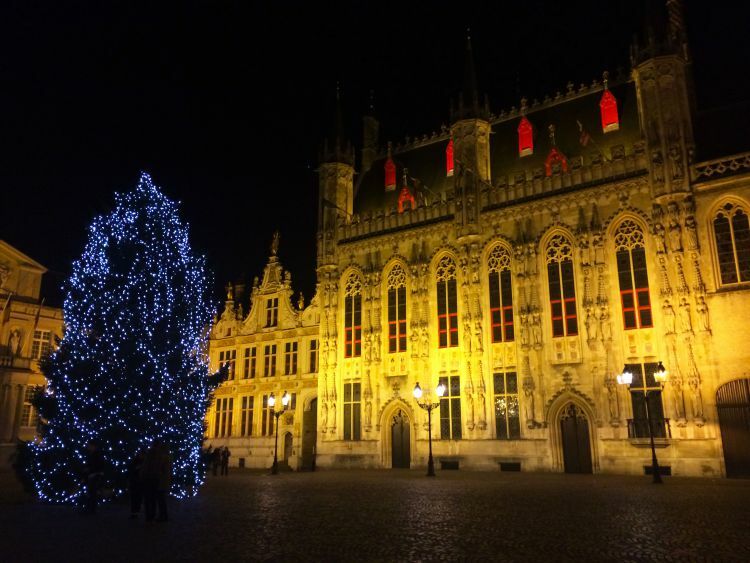 Bruges looks so pretty! 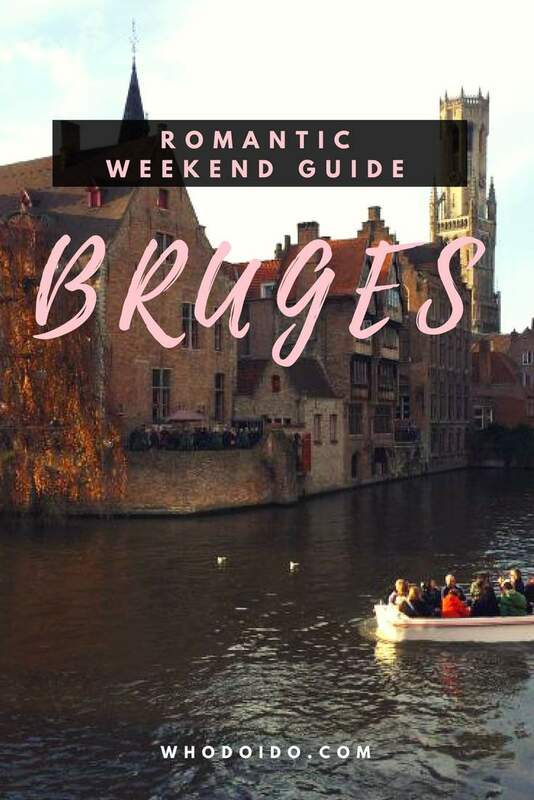 Unfortunately when we went to Belgium last year we only had time for one city so it was a tough choice of which to pick and ultimately we picked Brussels over Bruges. 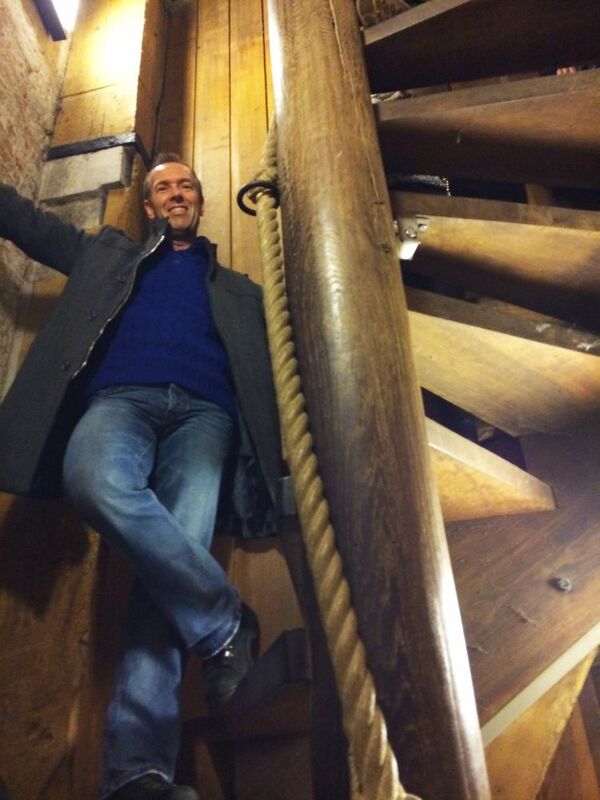 I’d love to visit the top of that belfry and I’m sure Jimmy would love trying out all those beers. Those waffles look so good, I need them in my belly now! We’ll need to visit Bruges soon! Sorry but I couldnt help my urge to comment. This place looks so good. 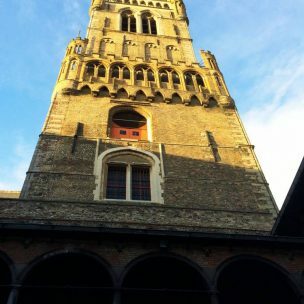 I really wish to visit it…..
My husband and I went to Bruges for our honeymoon. We keep saying we need to book a long weekend, and this post might have tipped the balance. Thank you! Wow! That looks like on amazing weekend! 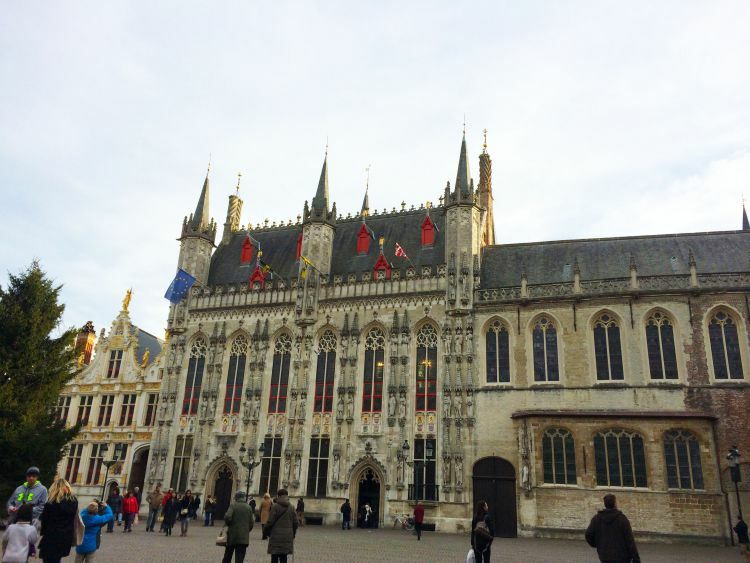 It was really relaxing – Bruges is so pretty! Thank you for putting together this post! I have been to Bruges two years ago but after seeing your pictures I think I should pay it a visit again! I still remember the ride along the canals! That was amazing experience! Wow .. This is such an informative post .. Luved every bit of it . I love your pictures too .. Have bookmarked this post for future . Whoa!! That’s huge and very informative guide. Thank you for sharing this details as it’s quite helpful to plan our trip . That looks like most romantic weekend getaway! So charming and quaint. Beautiful! 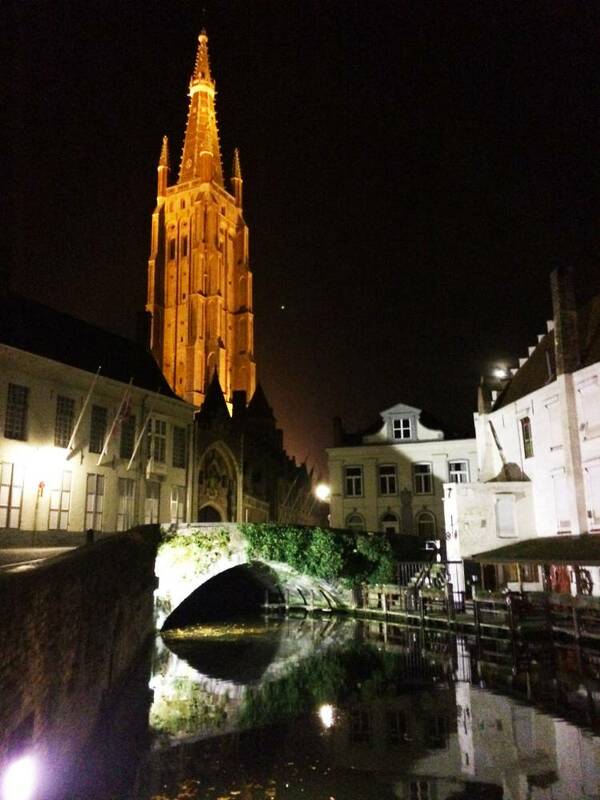 Wow Bruges does look like a very charming city no doubt ! 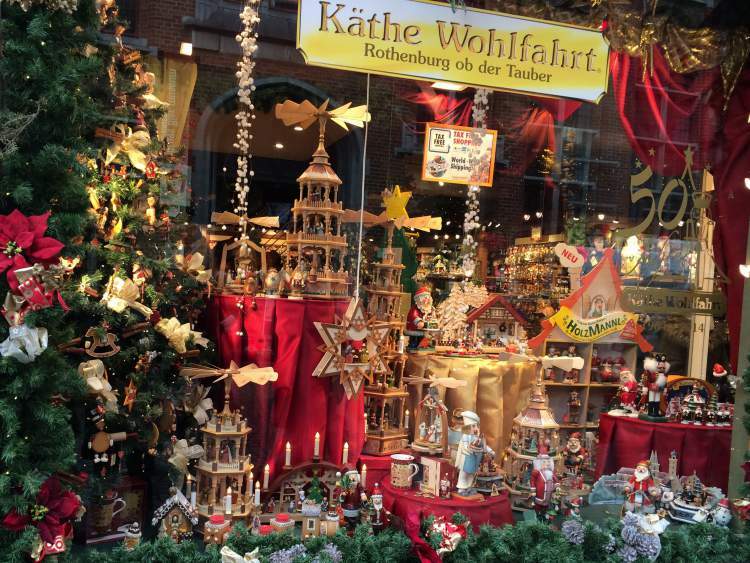 I would also love to try the Gingerbread room! Thanks for all your suggestions, your pictures are amazing. I have spent many days in Belgium but did not visit Bruges that time. Now delighted to visit through your wonderful post. 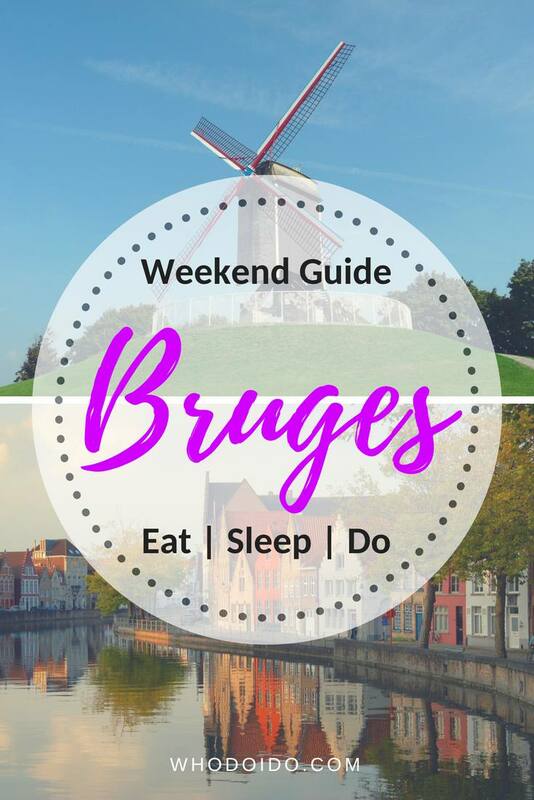 We had such a awesome weekend in Bruges earlier this year – has got to be one of the most fairytale places I’ve seen! I am going to add this to my bucket list. Such a beautiful place and all the food looks yumm ! Excellent work.. you have explained everything about bruges. And the most important your picture are too real that i feel i should visit once.. Warm waffles with cherries on top and that killing whipped cream, oh my ! Lovely click. 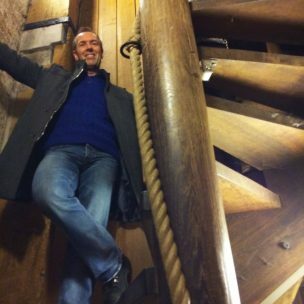 I don’t mind going all the way to Bruges just to try that. 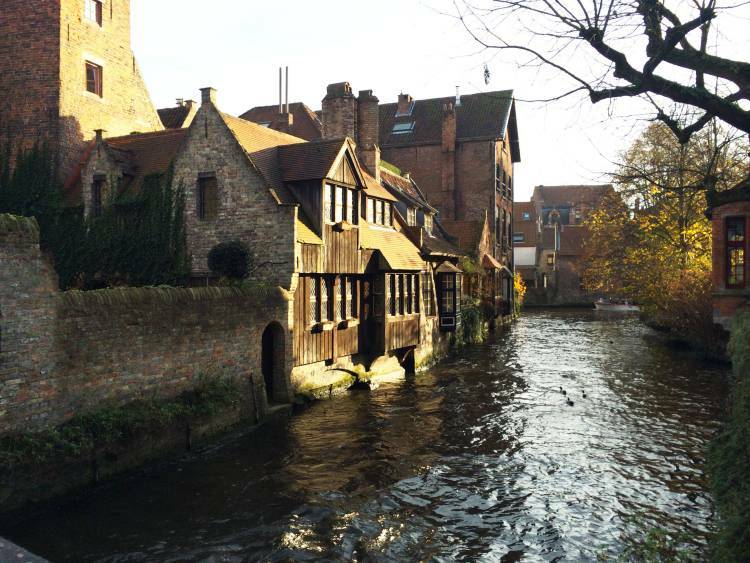 This is a beautiful post, one that makes you fall in loves with Bruges. 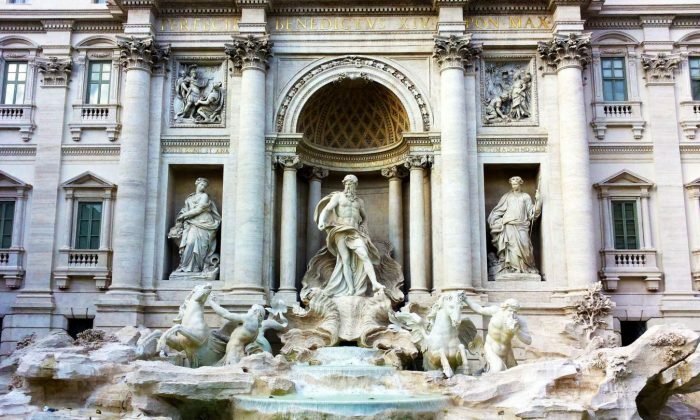 Will certainly visit it one day and try all that you have recommended. 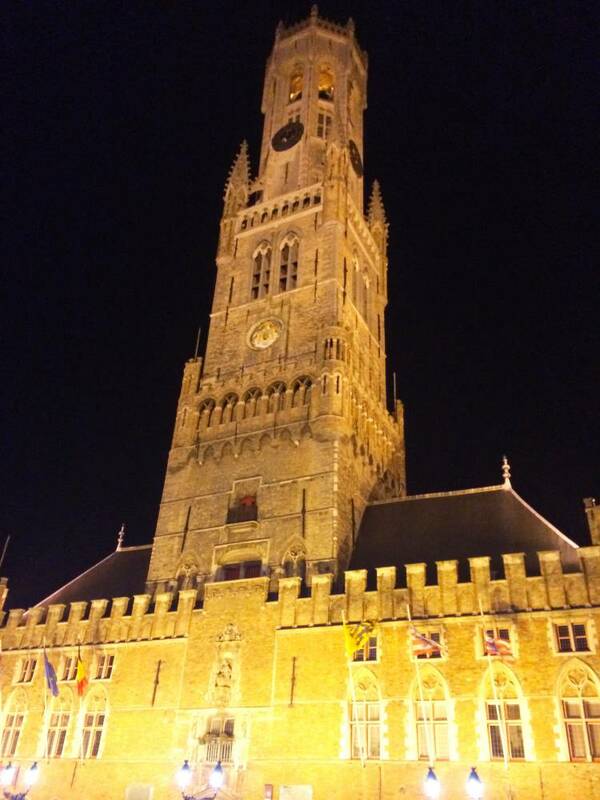 I was in Bruges a couple of years ago on a road trip around Belgium and Bruges was my favourite of the five towns we visited. The canals and architecture are fabulous and although we didn’t visit the same places you did (except for the belfry and the Markt) that only gives me an excuse to go back. 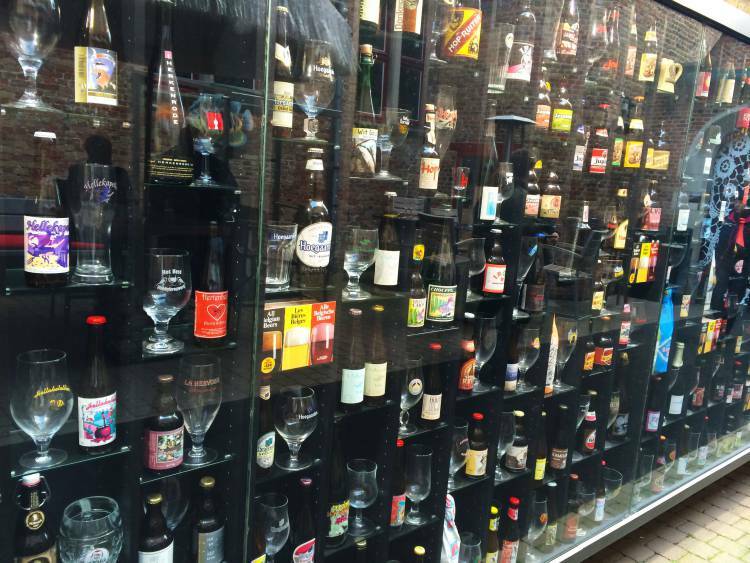 I have never been to Belgium but would be delighted to go one day. The food in the photos looks so scrumptious. And of course the chocolate….yum! How lovely. We haven’t done any foreign travel except a cruise, but this is something I would think about. I need the hot chocolate and waffles. Yum!!!!! !